Let us now understand what was the case before the Honorable Supreme Court, and how the entire land deal between Bahria Town and MDA was managed in order to cause heavy losses to the Government. MDA represents the Government, and it was found involved in various violations of its own rules to facilitate and benefit Bahria Town. 1- MDA had to launch its own housing scheme on its land on Super Highway, but it got involved in a dubious land deal with Bahria Town without inviting bids from other parties. 2- As per the rules, MDA can only lease out its land to private developers, but this rule was violated and ownership of land was transferred to Bahria Town. 3- Bahria Town purchased part of the land at throwaway price, while remaining land was acquired in exchange for some barren patches of land at distant areas of Sindh. The whole settlement was unlawful and it caused heavy losses to the Government. 4- The Supreme Court acknowledges the high-scale development work being carried out by Bahria Town, but the case before the Court revolves around the land deal between MDA and Bahria Town which must be settled in order to discourage such large scale scams in future. Now that we understand the issue which has nothing to do with the ongoing development work and the people who have purchased plots in Bahria Town Karachi, or those who are living there. This is between MDA and Bahria Town, so general public has no concern whatsoever be the outcome. 1- The entire land deal is “void ab initio”, which means that the agreement between MDA and Bahria Town is nullified. All the subject land goes back to MDA, and Bahria Town gets back the land given in exchange to MDA. MDA is also liable to pay the amount received from Bahria Town against the land. 2- Bahria Town cannot launch any new block/project until the final settlement of this case. Old launches/blocks will have no effect whatsoever, and sale/purchase and development activities will continue as usual. 3- Plot owners with ongoing installment plan will submit their due installments in a separate account that will be created as per the directions of the Supreme Court. 4- Since Bahria Town has done extensive developments on the subject land, the Government can decide to hand over this land to Bahria Town again on revised terms at market value of the land under the supervision of the Court. 5- Supreme Court will create an implementation bench that will make sure that all directions of the Court are followed in true spirit. The bench will also oversee the terms of revised land deal between MDA and Bahria Town. 6- NAB will further investigate this land scam, and determine the culprits within 3 months. 7- Supreme Court Bench has recommended the Chief Justice to take “Suo Motto” notice on similar type of malafide land deal between MDA and DHA City Karachi. After you have read the main points of the decision, it is very much clear that things will ultimately improve after the final settlement of the issue. Bahria Town will pay any price for this land as it has invested billions on the development work, and also it has to maintain its reputation in the market. Sale purchase activity will continue as usual, however property prices will suffer until the final settlement. As we already know that there were certain doubts about this project from the outset, especially due to unexplained issues regarding the land which kept affecting market prices in the past. After this current decision and final settlement of land, Bahria Town Karachi will resolve all its land matters once and for all. Property value may suffer a bit for a few weeks or months, but ultimately things will go back to normal and even it can bounce back with much more vigor. Unballoted files may suffer during this period as Bahria Town is not allowed to launch any new block and offer new allotments until the final settlement. Hence, upcoming balloting may be postponed and prices of unballoted files of plots, homes, commercials and apartments will further go down. No wonder if Bahria Town itself starts buying back those files at low prices from the market and dispose them off in order to get rid of the excess files. We will recommend our readers to show some patience and avoid rash decisions. Those who have to pay their installments must wait for the account details which may be advertised by NAB in a few days, wherein you can submit your installments. Bahria Town cannot demand installments of ongoing projects, so general public must follow the procedures outlined by the Honorable Supreme Court. Smart investors will also use this situation to their benefit, and they will continue to buy best properties at low prices in order to earn maximum gain after the settlement. The Supreme Court and all other authorities understand the scale of public interest on this issue, therefore you do not find anything in the judgment that may inflict loss to general public. It is Bahria Town which has to pay billions of rupees to repossess the land and continue with its developments. The giant has already assured that it will settle this matter on revised terms within a few weeks, so people must not worry about their investments in Bahria Town Karachi. If you require any further information on the issue, or you want to seek expert advice in order to make your decision, feel free to contact us via email at marketing@manahilestate.com. 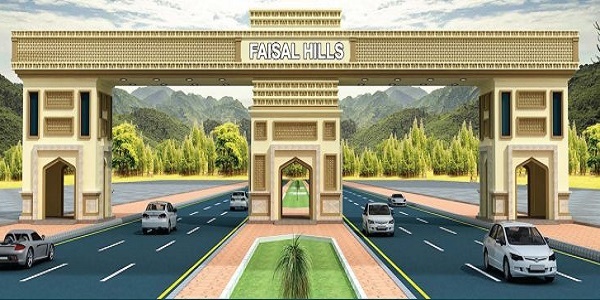 Islamabad's Best Housing Project for Investment in 2019? Manahil Estate is one of the leading real estate services operating in the capital city Islamabad.